FEZ Game Error initializing audio subsystem. Game won't start or load after showing title screen once. (09:15:03.432) [Unhandled Exception] ERROR : System.TypeInitializationException: The type initializer for 'Microsoft.Xna.Framework.Audio.OpenALSoundController' threw an exception. ---> System.NotSupportedException: No audio hardware is available. Labels: FEZ Game Error initializing audio subsystem. Use the D-pad to enter the directional commands (LEFT, RIGHT etc.). These codes must be executed fairly quickly. A small confirmation will appear above the map. Entering cheat codes disables Achievements and Trophies, but only for the current play session. Reset your game and your Achievement/Trophy ability will return. Note: Enter the Weather cheat multiple times to toggle through rain, clouds, clear days and snow. Grand Theft Auto 5, one of the most anticipated games this year, sales of 800 million dollars (600 million euros) worldwide in the first day of release, surpassing the previous records of the gaming industry, says agency Thomson Reuters releases. Sales revenues of 800 million dollars means about 13 to 14 million units. "Previous Post Grand Theft Auto series has sold 13 million copies in a year. 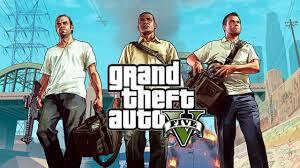 GTA 5 has done this in a day, "said Daniel Ernst, an analyst at Hudson Square Research. Making the game lasted five years and production costs amounted to 200-250 million dollars, according to analyst estimates. GTA 5 receipts have exceeded those recorded last year for the game Call of Duty: Black Ops II, which brought revenues of 500 million dollars on the first day of release. Completed the game on 1999 mode. Completed the game in 1999 mode without purchasing anything from a Dollar Bill vending machine. Take off with the Moon Copter on Moon Knight (single-player only). Defeat 100 thugs on Moon Knight (single-player only). Survive the Lunar Eclipse and defeat Seth on Moon Knight (single-player only). All of the monsters are captured in the Monster Hunt mode of the Nightmare Mansion table. Monster Trees mode activated on the Nightmare Mansion table. The skull of has been smacked up or 3 Friends beaten on the Nightmare Mansion table. Ball landed in a hat during the performance of Mr. Know-it-all on the Rocky & Bullwinkle table. Wrongdoings of the Two Nogoodniks have been completed on the Rocky & Bullwinkle table. Super Combo achieved or 5 Friends beaten on the Rocky & Bullwinkle table. Invasion of Camelot has been repelled on the Excalibur table. A Knight's tale has been completed on the Excalibur table. Renown secured or 3 Friends beaten on the Excalibur table. Wall crumbler punch performed successfully on the Street Fighter II table. You fought well on the Street Fighter II table. M. Bison has been defeated or 10 Friends beaten on the Street Fighter II table. 50m depth reached or 10 friends beaten on the Secrets of the Deep table. 50 million collected playing Romulus Multiball or 5 friends beaten on the Rome table. A storehouse of monsterly pleasures, a Cookie Jar filled to the brim from the Biolab table! Awarded by the Mad Professor for not misbehaving too much on the Biolab table! You successfully led the caravan through the desert or beaten 3 friends on the Pasha table. An escape completed or 5 friends beaten on the Biolab table! Seized control over the garrisons at least seven times or started FRENZY on the Rome table. Two sucessful shots completed against the galleon during Mock Warfare on the Rome table. Probe launched successfully on the Secrets of the Deep table. All tales have been completed on the Pasha table. Shipwreck explored completely on the Secrets of the Deep table. You are the master of cannons on Earth Defense table. You got all medals or 10 Friends beaten on the Earth Defense table. Congratulations! Fought back an alien invasion on the Earth Defense table. You have completed all Tony Stark missions on the Iron Man table. You have defeated Whiplash and Mandarin on the Iron Man table. Iron Man is Invincible! You have defeated Ultimo on the Iron Man table. Congratulations! Aunt May's Dinner Party started on Spider-Man. Clone Chaos multiball unleashed on Spider-Man. Doc Ock has been defeated by a pumpkin bomb on Spider-Man. Hand ninja defeated by a dumped ball on the Wolverine table. Adamantium bonded to Logan's bones on the Wolverine table! Sabretooth has been defeated on the Wolverine table. The ancient treasure trove on Blade is now liberated from the clutches of vampires. A Darkhold chapter suppressed on Blade. With your victory on Blade, you defeated Dracula and scattered his vampires…for now. Use the Cosmic Cube to your advantage on Captain America (Single player only). Defeat the Red Skull in the Final Clash mission series on Captain America (Single player only). Complete a 6-way combo on Sorcerer's Lair (single player only)! Take down the spiders in 20 seconds in the cellar on Sorcerer's Lair (single player only). Conclude the final mode: Midnight Madness on Sorcerer's Lair (single player only). Multiplier reached by a complete bombardment on the Buccaneer table. Cannonballs rained or 5 Friends beaten on the Buccaneer table. Snuck into both the Oil Tanker and the Syscraper on the Agents table. Playground Multiball achieved or 5 Friends beaten on Extreme table. You defeated all of the guardians of the hidden mini-playfield on the Pasha table. A super combo performed or 10 Friends beaten on the Speed Machine table. Always got the missions at the right time from the Command Base on the Agents table. You had Kickback and Ball Saver at the same time on Speed Machine table. Reached the sky by hitting the Ollie ramp during multiball on the Extreme table. TAG spelled on Extreme table. A pirate adventure has been completed on the Buccaneer table. Partnership Multiball earned or 5 Friends beaten on the Agents table. All police stars were lit on the Speed Machine table. No cheats for Guacamelee yet, support us with some codes if you already found any. Search for a dark blue part of the ocean on your map (e.g. at X: 709.1, Y: 835.6 or X: 752.7, Y: 656.1 coordinates), which are the deepest parts of the ocean. You need to activate radio towers to reveal the map. After reaching a dark blue part of the ocean, dive down until you reach the ground to get the "Fearless Or Stupid" achievement. Note: Click the Left Analog-stick to swim faster. Go to X: 442.4, Y: 651.1 coordinates to find a glider almost on the top of a high mountain, which you must climb up. Once you reach the glider, press X to use it. Do not not steer while you are in the air -- just keep gliding until you reach the ocean. Once you are over the ocean, press X to exit the glider. You will then fall into the water and get the "Free Fall" achievement. Rare animals can be found during the "Path Of The Hunter" quests. To play these quests, you must liberate outposts. The spawn area of the animals will be shown during the quests. If the quest features rare animals, there will be a red "Rare" stamp on the hunter posters. One of these quests can be started at X: 428.9, Y: 694.3 coordinates. The lost Hollywood star can be found at X: 619.7, Y: 559.4 coordinates, which is at the beach of one of the northern islands. You can go there shortly after the game starts. Stay at the beach, and look for two dead people that are hanging on a tree. There is a man buried in the sand, and you can only see his head. Go to the burried man, and press X to get the "Say Hi To The Internet" achievement. This achievement is a reference to the "Far Cry Experience" video series from Machinima starring actor Christopher Mintz-Plasse (who played McLovin in Superbad). In the fourth episode of the video series, viewers could vote whether Christopher lives or dies after being captured and dug neck-deep in sand. There are a total of 34 outposts in the game. You can liberate any of these outposts without triggering an alarm. Search for the alarm switch in an outpost, and disable it by pressing X. Then, kill the remaining enemies to get the "Unheard" achievement. It does not matter if the enemies see you or not. They just cannot ring the alarm. If you hear the loud alarm, then get yourself killed, and you should respawn somewhere near the outpost, where you can try again. Free Fall (5 points): Freefall more than 100m and live (Single Player only). Inked Up (5 points): Earn 5 skill tattoos. Fully Inked (30 points): Earn every tattoo by learning all the skills. Money to Burn (15 points): Spend $5,000 at the shop. Aftermarket Junkie (20 points): Buy all attachments and paint jobs for one weapon. Rebel With a Cause (10 points): Liberate 3 outposts. Island Liberator (40 points): Liberate all outposts. Unheard (20 points): Liberate an outpost without triggering an alarm. Full Bars (20 points): Activate 9 radio towers. Archeology 101 (20 points): Gather a total of 60 relics. Dead Letters (20 points): Gather all "Letters of the Lost". Memory to Spare (20 points): Gather all the memory cards. Jungle Journal (20 points): Unlock 50 entries in the Survivor Guide. Bagged and Tagged (10 points): Complete a Path of the Hunter quest. Road Trip (10 points): Complete a Supply Drop quest. In Cold Blood (10 points): Complete a WANTED Dead quest. Let the Trials Begin (10 points): Beat any Trial of the Rakyat score. Poker Bully (20 points): Win $1,500 playing poker. Hunter Hunted (10 points): Lure and kill a predator. Poacher (20 points): Hunt and skin a rare animal. Artsy Craftsy (10 points): Craft 5 upgrades for your equipment. Needle Exchange (15 points): Craft 25 syringes. The Good Stuff (15 points): Craft a special syringe. Say Hi to the Internet (10 points): Find the lost Hollywood star. Heartless Pyro (10 points): Kill 50 enemies with the flamethrower (Single Player only). Love the Boom (10 points): Kill 4 enemies simultaneously with one explosion (Single Player only). Rock Always Wins (10 points): Fully distract 25 enemies with rocks (Single Player only). Island Paparazzi (15 points): Tag 25 enemies using the camera (Single Player only). Fearless or Stupid (15 points): Dive more than 60m (Single Player only). Never Saw it Coming (20 points): Kill an enemy with a takedown from above from a glider, zipline or parachute (Single Player only). Improper Use (5 points): Kill an enemy with the Repair Tool (Single Player only). Toxophilite (10 points): Kill a target from 70m or more with the bow (Single Player only). Here We Come (20 points): Complete "Ready or Not" Co-op map (Online/Offline). Return to Sender (20 points): Complete "Sidetracked" Co-op map (Online/Offline). Rocking the Boat (20 points): Complete "Overboard" Co-op map (Online/Offline). Hide and Seek (20 points): Complete "Lights Out" Co-op map (Online/Offline). Late Night Pick-up (20 points): Complete "Rush Hour" Co-op map (Online/Offline). Getting Even (20 points): Complete "Payback" Co-op map (Online/Offline). First Blood (10 points): Escape the pirates and survive in the wilderness. Magic Mushroom (20 points): Return to the doctor with the cave mushrooms. Worst Date Ever (20 points): Rescue Liza from the burning building. One of Us (20 points): Complete the Rakyat initiation. Hands Off My Stoner (20 points): Rescue Oliver from the pirates. Retake Wallstreet (20 points): Rescue Keith from Buck. Have I Told You? (50 points): Survive the encounter with Vaas and escape. Taken for Granted (50 points): Kill Vaas. Higher Than a Kite (20 points): Use your wingsuit to reach the Southern island. Deep Cover (20 points): Complete Riley's interrogation. Poker Night (50 points): Kill Hoyt. What a Trip (100 points): Attend the final ceremony. Summary: BioWare completes the Mass Effect Trilogy with Mass Effect 3. Earth is burning. Striking from beyond known space, a race of terrifying machines have begun their destruction of the human race. As Commander Shepard, an Alliance Marine, the only hope for saving mankind is to rally the civilizations of the galaxy and launch one final mission to take back the Earth. Summary: Based on Robert Kirkman's award-winning comic book series, The Walking Dead is about a world devastated by an undead apocalypse and the horrifying choices you're forced to make to survive. Assume the role of Lee Everett, a convicted criminal, who has been given a second chance at life in a world devastated by the undead. With corpses returning to life and survivors stopping at nothing to maintain their own safety, protecting an orphaned girl named Clementine may offer you redemption in a world gone to hell. See more.. The mysterious creature called X Federation Force is coming from a distant world, which is a Biochemical Empire and where he rules a large biochemical force. Unfortunately, his ambition gradually inflated and he began to try conquering human beings when he saw the weak human. So, the war breaks out. Human needs a hero to help them to fight against enemy. They need you! Weak humans became so vulnerable against the mysterious force. You are the hero who can protect people. What are you waiting for? Just take your weapon and fight them! 1. Hero system: You can choose three heros freely. Each one has an one hit kill skill. 2. Weapon system: Including classic guns, pistols, shotguns, machine guns, and high tech weapons like flamethrower and lasergun and extrm strong fire arms like rocket. They will make you feel stronger, crazier, and more and more awosome. 3. Operating system: easy handling, just click on the screen. Anyone can play it easily. 4. Medal of honor: brand new medal of honor. Still bothered by finishing all kinds of achievement? This new medal of honor system won't bother you at all. Just follow the game, you will get all kinds of medals. The medals will provide you will all of the authority, makes you play game more freely. 5. Free game: Truely free game, not cost a penny. Easiest collecting coins. You can buy all kinds of weapons, it will makes you feel awosome. ★ New Update!!! Now there's NO time limit, YOU CAN PLAY AS LONG AS YOU WANT, WOW!!! Fly in the blue sky! You are the lord of the sky! ! ! Raiden 2046 will take another swoon on flying shooting games! ! ! Gorgeous fighters and powerful weapons! ! ! Upgrade your fighters to make yourself be invincible! ! ! Use your phone to experience the pleasure of sky shooting game again! ! ! Raiden 2046 is a fly shooting game. Players shall tap the screen or use G-sensor to control the fighter to fly, get rewards to upgrade your weapons and armors, collect coins to buy more powerful equipments. At last, you will be the lord! ★★★★★ Extremely realistic 3D game scenes show you the details of aircrafts exploding and missile launching. ★★★★★ Submit your score to the global ranking list to complete with the players around the world! ★★★★★ Powerful upgrading system of weapons and equipments!